Chicken or steak, that’s the question that awaits one at Mark Hix’s Tramshed. The über cool eatery serves only whole roast chicken or steak – both with a side of fat chips and salad. That’s it. 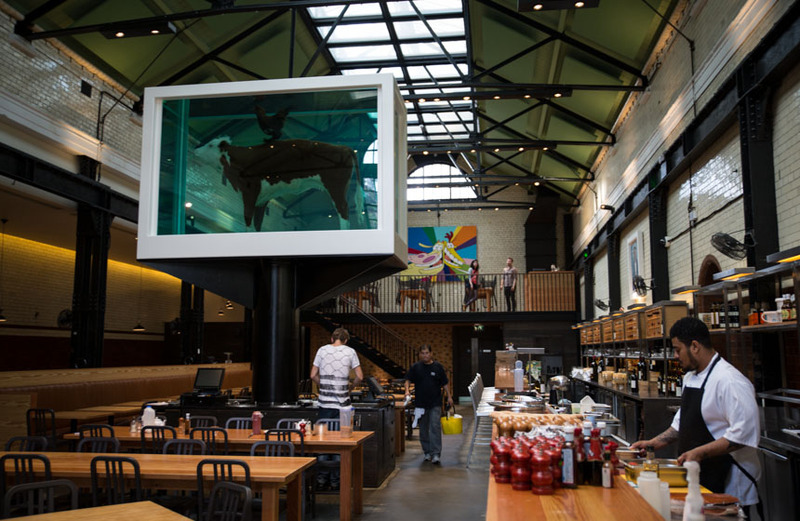 Diners eat under the watchful eyes of a massive Damien Hirst artwork – a tank featuring a cow and a chicken, eternalized forever in a bath of formaldehyde. Watch me checking out Tramshed in this episode of my show.